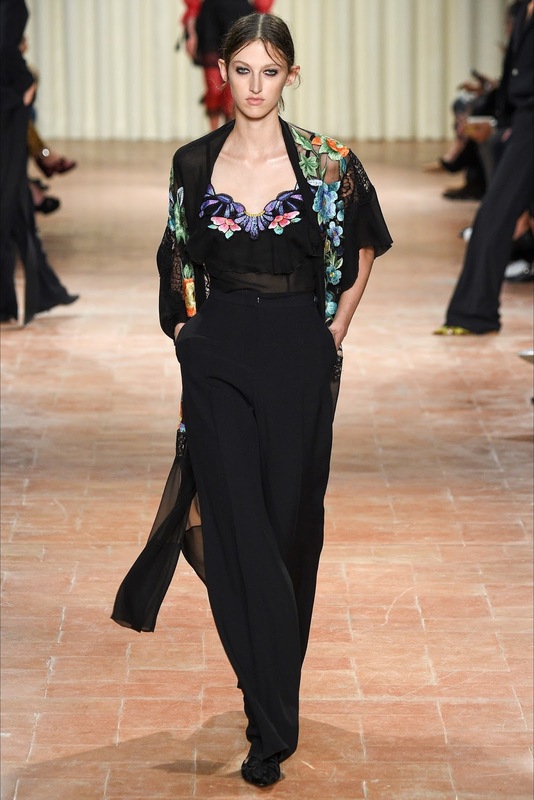 I already expected this one to be a great collection, Alberta Ferretti honestly never disappoints me! And also this time, I was right! 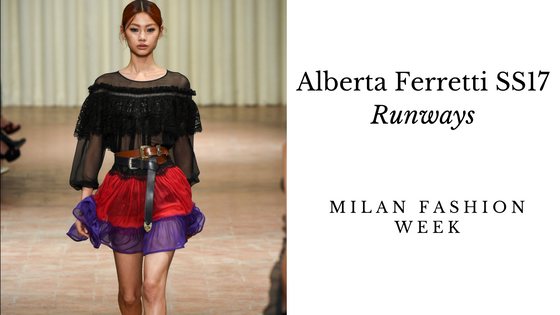 Alberta Ferretti for the upcoming season designed dresses and clothing for powerful and strong women, using different materials such as lace or lingerie pieces, other dresses are gitane and spanish inspired or combined with masculine suits parts. Layering on the dresses and leather belts on the waist, semi transparent chiffon for the blouses and precious embellishments on the chest, elegant vests and floral designs dominated the scene. 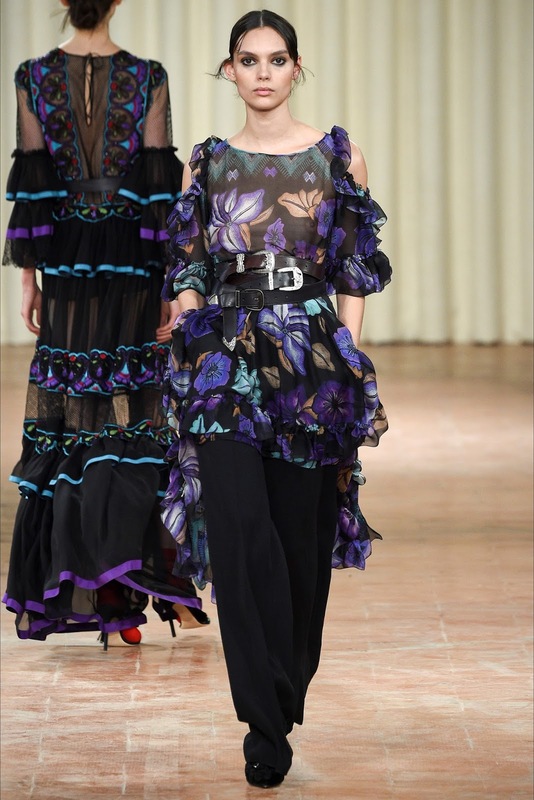 The colors dominating the runways were red, violet and of course black.